Address : 16, Bouboulinas Str. 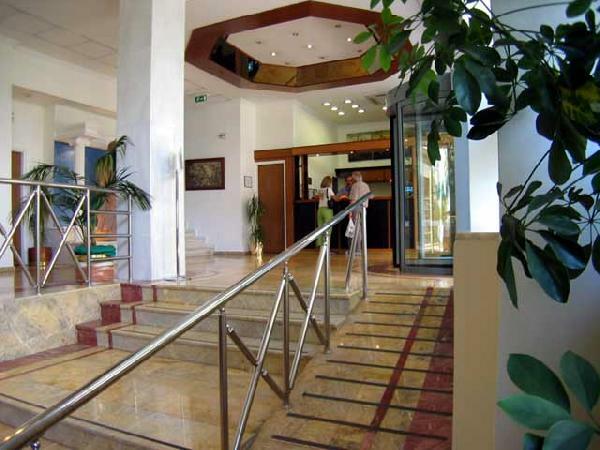 It is our pleasure to introduce you to the BEST WESTERN MUSEUM HOTEL which belongs to our company, owner of the BEST WESTERN HOTELS PYTHAGORION and ZINON, a comfortable city hotel very central , next to the National Archeological Museum and Polytechnic University with easy access to everywhere. Ideal location for both business and leisure travelers. With the occasion of the renovation of our property, we would like to bring to your attention several important changes that they took place in our hotel, aiming to a more pleasant stay in the heart of Athens. Everything at your disposal, reasonably priced with adequate quality and cordial service. Our staff, experienced, friendly and discreet, welcome you at the BEST WESTERN MUSEUM HOTEL A Small And Beautiful Property that you shouldn't miss. For Bookings throught Internet System will get a 10% discount. Είστε ιδιοκτήτης ή διευθυντής στο MUSEUM; Εγγραφείτε τώρα για δωρεάν εργαλεία, που μπορείτε να χρησιμοποιήσετε για να βελτιώσετε την καταχώρησή σας και να συνδέσετε την ιστοσελίδα σας και το σύστημα κρατήσεών σας.